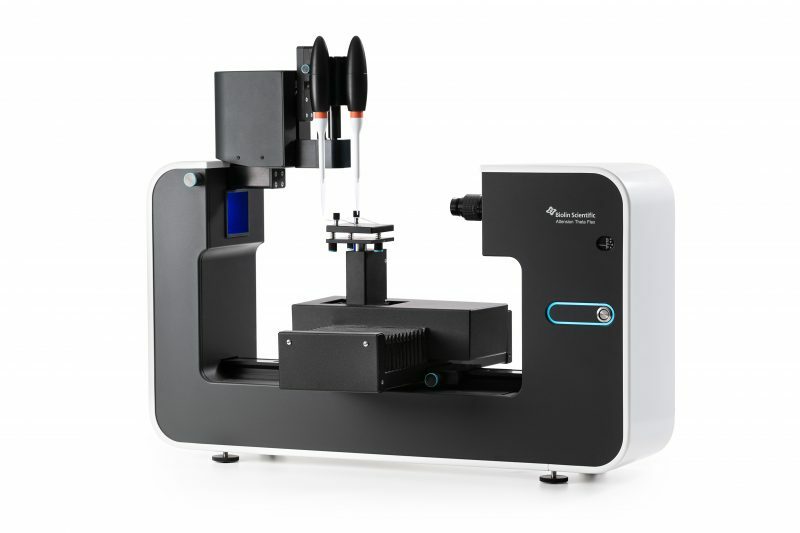 The Attension Theta Flex is packed with smart features including real-time image acquisition of droplet volume is calculated from the real-time image with advanced machine vision to ensure repeatability. Theta can be combined easily with a number of modules that bring power and additional capabilities to the system. Theta’s camera offers the best imaging features in the market to enable capturing the fastest wetting phenomena up to 3009 frames per second and experiencing the most precise drop shape analyses with 1984 x 1264 pixel resolution. 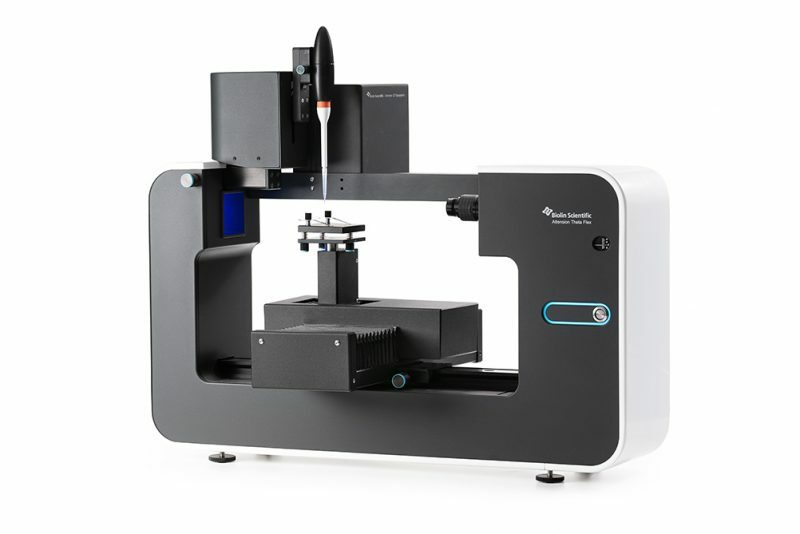 module takes the wettability and adhesion analysis to a completely new level. 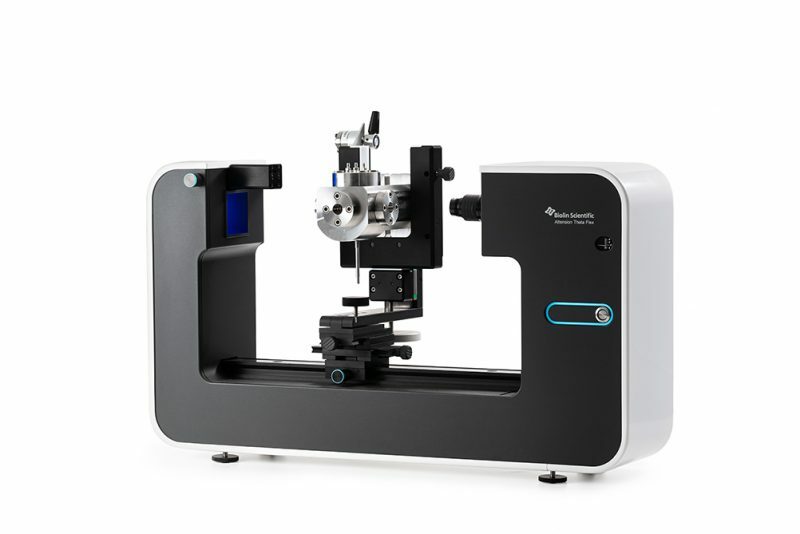 The first system that can measure both contact angle and surface roughness of the sample in a single measurement while calculating the contact angle without the effect of roughness. module enables measurements at pressures up to 400 bars and temperatures up to 200 °C. Designed for enhanced oil recovery and supercritical fluid applications. Fully automatic measurements avoid user dependent variation and save time. Select ready-made experiment recipes or create custom programs for quick and repeatable operations. OneAttension is an all-inclusive software that enables immediate access to all measurement capabilities with no need to purchase and install separate software modules. It features an intuitive user interface, live analysis, configurable user groups and accounts and a preset liquid database. Any data point or groups of data points can be selected, transformed, plotted and analyzed. The in-depth analysis takes seconds and data can be easily exported.